OSBeehives is on a mission to technify the beekeeping industry by building a global network of beekeepers and identifying causes and solutions for colony health deterioration. 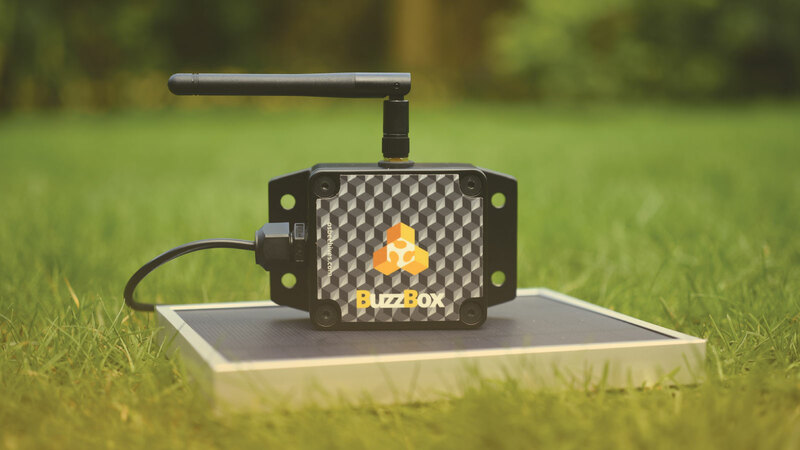 BuzzBox is a smart beehive monitoring assistant that uses artificial intelligence to inspect the hive's health and report updates to the beekeeper's mobile app. OSBeehives used MacroFab while working through several iterations of prototypes before finalizing their design. They stayed with MacroFab for low mix high volume PCB assembly after successful crowdfunding campaigns to deliver BuzzBox to their backers. OSBeehives continues to use MacroFab for all of their manufacturing needs, including box build, fulfillment and inventory management. For OSBeehives, the prototyping phase took several iterations and was expensive, but this step was important to make sure their device was collecting all of the data as accurately as possible. The hardest part of developing the product was iterating on prototypes to find a solution that integrated well with the hive without getting gummed up by being inside of a living organism. OSBeehives liked that MacroFab’s software quickly gave them accurate estimates on PCB assembly at a price point they were happy with. MacroFab was also able to rapidly turnaround prototypes which helped streamline their go-to market timeline. OSBeehives took full advantage of the MacroFab platform to optimize for time and cost. Because MacroFab’s prices were competitive, OSBeehives was able to iterate quickly, then move to high volume manufacturing. They also used MacroFab for box build assembly, fulfillment and inventory management to ship BuzzBox devices directly to their customers. OSBeehives moved their product through the entire process with MacroFab and fully utilized our turnkey services. They found that the ability to get accurate quotes online, upload designs, and ramp up quickly was the main advantage that MacroFab provided. They began by using our platform to iterate on their prototypes, and our team helped them with design feedback and gave them recommendations to move entirely to SMT which sped up production and reduced their costs. When they finalized a working version they were happy with, OSBeehives launched their crowdfunding campaigns – with great success. It was around this point when founder Aaron Makaruk began to work more closely with the MacroFab team for custom quotes on high volume manufacturing, in preparation of shipping BuzzBox devices to their backers all over the world. OSBeehives continues to experience success with their IoT device and MacroFab remains their manufacturing partner for high volume manufacturing. Using our full range of services including direct fulfillment and inventory management means they don’t have to coordinate logistics and billing between multiple vendors or fulfillment centers for one product, saving time and reducing friction. The amount of time and effort that has been saved through customer service and the platform has given OSBeehives the ability to grow into the company they envisioned. Their advice for other hardware companies that are getting started is to talk to someone like MacroFab to provide insights and help you map out all of the steps required to get to market. There are a lot of things you might not anticipate, and speaking to a contract manufacturer or another hardware company that has been through the process will help you leapfrog a lot of problems and prevent you from reinventing the wheel when it comes to your go-to market strategy.